The Research Data Management Team is ready to consult with you on your questions about research data, including compliance with funding agency mandates. Contact us! This tool has templates adhering to U.S. funding agency DMP requirements. Steps you through each section of a DMP and generates a plan at the end. Get your plan reviewed by a member of the Research Data Management team. Set of documents for use by Penn State researchers in preparation of DMPs: 1) DMP guidance based on PSU research administration guidelines and policies; and 2) Boilerplate language to use in a DMP submitted from Penn State. Information provided by the DMPTool on what funding agencies and grant foundations are requiring vis-a-vis data management plans. Provides list of federal agencies with public access plans and links to them. 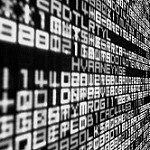 Straightforward article, published in PLoS Computational Biology, co-authored by scientists and social scientists about what researchers can do now to be better stewards of their data. Wide variety of resources for managing research data. Emphasizes on preparing data management plans and focuses on describing, accessing, reusing, archiving, and preserving research data. Instructs on what goes into a data management plan. Features short videos of Penn State faculty offering a variety of perspectives of data sharing, preservation, and access. Free, online short course on the basics of RDM: file formats & transformation: metadata and documentation; data protection, rights, and access; and more. A resource from the Digital Curation Center in the U.K. - provides links to information about metadata standards for a wide variety of disciplines. Includes profiles, tools to implement the standards, and use cases of data repositories where the standards are being applied. Penn State's institutional repository - a service for research and scholarly work produced by the university community. Scholarsphere also accepts datasets, such as for linking to published articles and for compliance with DMP requirements. Disciplinary data repository at Penn State to which researchers may submit data for dissemination and compliance purposes. re3data.org is a global registry of research data repositories that covers research data repositories from different academic disciplines. It presents repositories for the permanent storage and access of data sets to researchers, funding bodies, publishers and scholarly institutions. Bills itself as a "a repository where users can make all of their research outputs available in a citable, shareable and discoverable manner." This repository service "enables researchers, scientists, EU projects and institutions to share, preserve and showcase multidisciplinary research results (data and publications) that are not part of the existing institutional or subject-based repositories of the research communities." Git repository on the Web, for sharing and iterating collaboratively on code. Often used in software development projects producing open-source applications but also used in research projects generating or developing code as part of the results of such research.